Let me start with a quick question. Do you feel like going grocery shopping when you get home after working all day? I’m sure I’m not alone in saying “HECK NO!” Heading out to purchase greens for dinner sounds too much like work and a waste of precious resources (fuel, time and energy). So, with absolutely nothing green in my fridge, what’s a girl to do? Head outside – that’s what. Below is a picture of the greens I collected from my garden (clockwise from top left): silver dead-nettle, parsley, violet, oxalis, oregano, chives and mallow (center). Yes, the quantities are pretty small, but this is my first time using silver dead-nettle, violet, oxalis and mallow in a meal. Thought it would be prudent to start small and increase the quantities later if they agree with me. While I want to encourage people to try new foods, especially freshly foraged greens, please be careful. My son and I tasted each of the new items and waited an hour to see if we would have any sort of reaction. Also, before heading outside I did some research to ensure that all of the these greens were edible. 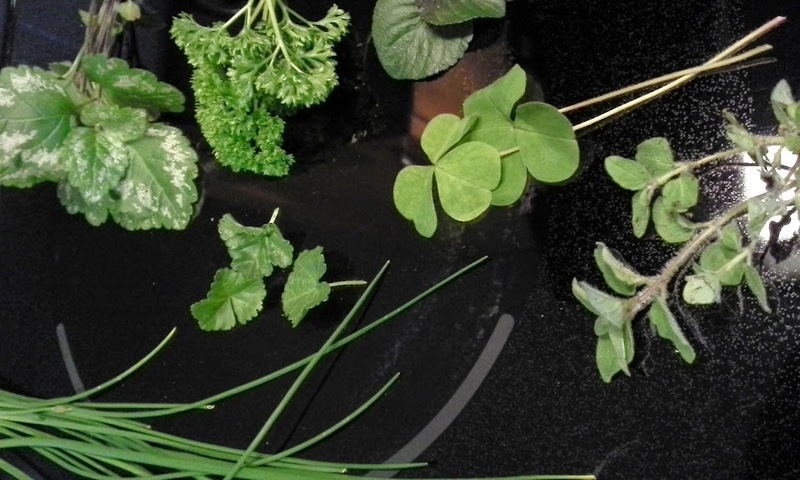 Drum-roll please… the taste test results are in: Our favourite is the oxalis. It was absolutely delicious! Daniel described it as sweet-and-sour. The dead-nettle (the dead part of the name just means that it doesn’t have stinging hairs on it) was very bitter and I think I’ll cook it like spinach next time, sauteed in butter with garlic. Both the mallow and violet were quite bland, hardly any flavour at all, but being dark green and leafy I’m sure they must have been full of all sorts of good stuff. Now, what to do with them? 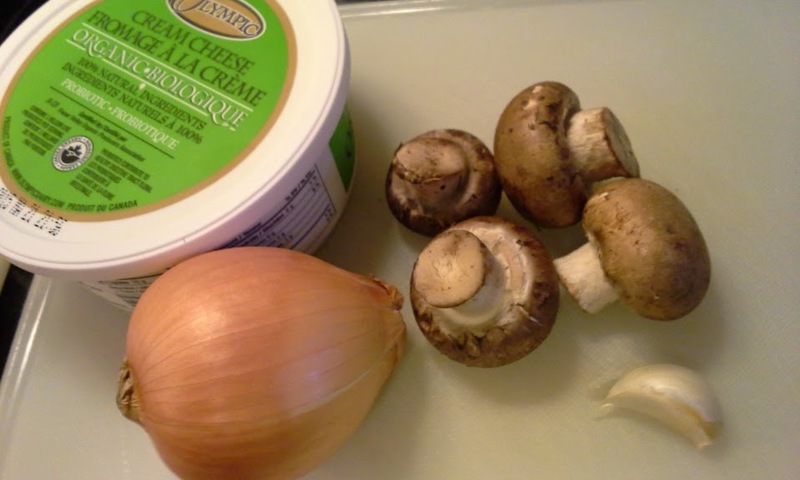 To my eyes, they looked like herbs ready for a pasta sauce and I happened to have a package of shiratake noodles, mushrooms and cream cheese in the fridge. So, after sauteeing the greens and other ingredients into a nice pasta sauce and cooking the shiratake noodles, my dinner was ready. So yummy. I will be raiding my garden again very soon. Please join me and try some foraging of your own; it is tasty, economical, nutritious and best of all – fun. Safety first though, please do your homework and be careful with what you harvest and consume. Leave plenty for others, harvest in a safe area (it might not be wise to harvest in an industrial area), tread lightly and respect the laws in your area (ex: here it is illegal to harvest in parks). Enough preachy stuff – get out there and enjoy! 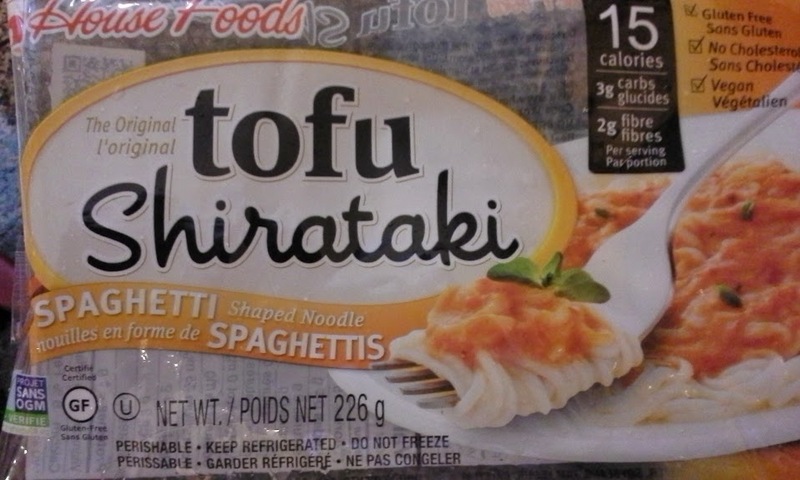 As a final quick note, in case you’re not familiar with shiratake noodles, here’s a picture of the package. They’re now my go-to pasta replacement – I love them because they don’t mess with my blood sugar levels, they’re pleasantly “toothsome” and being quite bland, they take on the flavours of any sauce. This entry was posted in everyday musings, garden and tagged cooking, foraging, weeds. Bookmark the permalink.